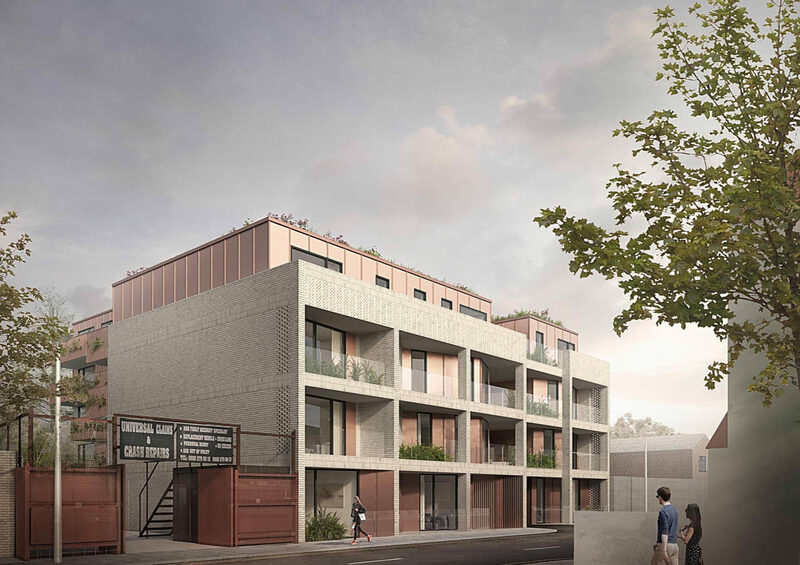 Belsize Architects were appointed to deliver Phase 1 of an affordable housing scheme in the London Borough of Enfield. 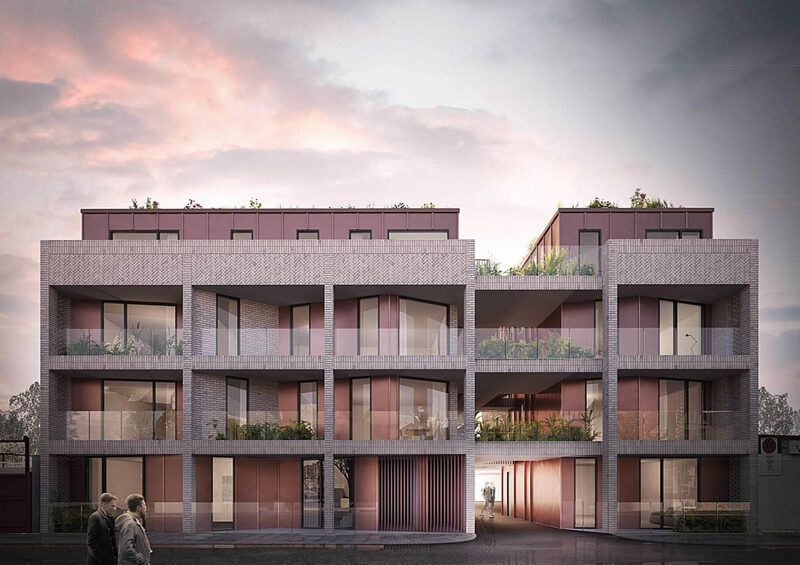 The Phase 1 scheme is a redevelopment of a brownfield site to provide 24 residential units along with communal and private amenity as well as private parking. The development site sits between light industrial uses in front of a railway line. The design seeks to strengthen the street frontage whilst responding to the surrounding Victorian Terraces. 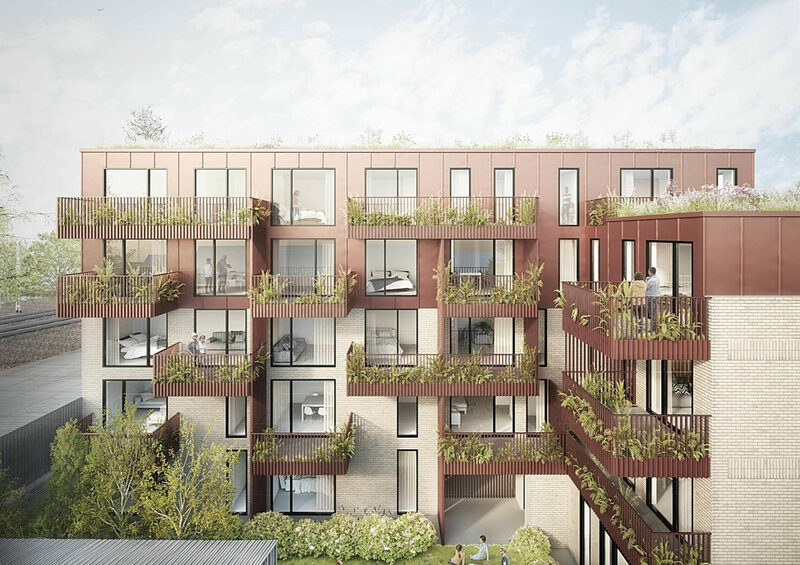 The building creates much needed high quality residential units of a good size and aspect and enhances the streetscape with sensitive treatments of the boundary. A key concept of the redevelopment of the application site is to bring the quality of the green space forward onto the adjoining residential streets for the benefit of existing residents. To assist with this, a full height slot is proposed through the building which will provide long views from Park Avenue through the site towards the greenspace beyond.